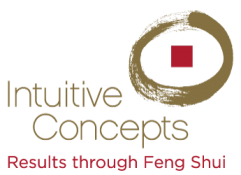 By popular request, we’re offering one-on-one coaching sessions to discuss your Feng Shui and Chinese Astrology — and how these principals can help you with career choices. Countless people have done these and absolutely love them. Some had ah-ha moments, some changed their approach with their current job, and some changed direction all together. For those who are reinventing themselves, this is a gem! For young people and students of all ages, these help with fields of study. Since these sessions are done via telephone, anyone can participate from anywhere. These are different than personal strategy sessions which focus on your energy during a specific period of time. Are you ready for a change, or just wondering what you want to do when you grow up? This research was one of the factors that led me to leave the corporate world and commit to my current career full time. What lights you up (gives you energy)? What takes your energy away? Where are you in that paradigm … passionate, drained, or somewhere in between? Might entertainment, science, or service industries suit you; or will you be more fulfilled as a government official or health care provider? Are you a commander, leader, or follower? Gain insight on what many pay thousands to learn! When your payment is received we will call to set up a convenient time for the phone call. Cancellations are non-refundable if less than 48 hours of appointment time.